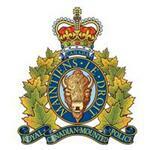 RCMP Alberta - Members of the Cardston RCMP and Blood Tribe Police Service Crime Reduction Unit seized suspected fentanyl pills from a residence in the town of Cardston on March 8, 2018. As a result of the joint investigation between RCMP and Blood Tribe Police, two persons, Chantelle Cecilia Daychief (age 44) and Allan Blake Tail Feathers (age 41) have both been charged with Possession of a Controlled Substance for the Purpose of Trafficking under section 5(2) of the Controlled Drugs and Substances Act. Chantelle Daychief and Allan Tailfeathers have both been released from custody and are scheduled to appear on March 19 in Cardston Provincial Court. Recently there has been a dramatic increase in the number of fentanyl related overdoses on the Blood Indian Reserve and surrounding communities. You can also contact Crime Stoppers by phone at 1.800.222.8477 (TIPS), by internet at www.tipsubmit.com, or by SMS (check your local Crime Stoppers [www.crimestoppers.ab.ca] for instructions on how). You do not have to reveal your identity to Crime Stoppers, and if you provide information to Crime Stoppers that leads to an arrest(s), the recovery of stolen property, and/or a seizure of illicit drugs, you may be eligible for a cash reward. Thanks for taking the time to comment. Comments are moderated before being published. Please be civil. copyright 2012 www.pinchercreekmultimedia.com. Powered by Blogger.